Most gyms and health clubs offer different cardio equipment that could help anyone who wants to lose weight or to improve their physic. There are aisles of different weight-training machines, different free weights and even stretch areas that can help members to exercise. 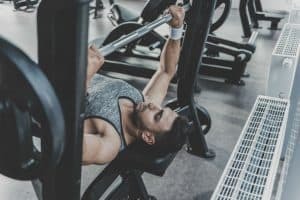 There are those whose goal is to strengthen their bodies which is why aside from weight machines and barbells, a dumbbell is one of the equipment that is needed by gym goers. Dumbbells are used for joint-isolation exercises. This includes chest fly, shoulder raises and biceps curls. Dumbbells are used for multiplanar movements and full-body workouts. There are also benefits for flexibility and cardiorespiratory fitness. Dumbbells come in different weights, regular dumbbells come in 17 different weight ranges, and they all come in pairs so imagine if you want to work out at home, you will have to line them all up and it could take up a lot of space if you get a pair for each weight available, that is where adjustable dumbbells come in. They are as effective as regular dumbbells, but they are more efficient. If you are looking for the best adjustable dumbbell, read through our thorough review. The Power Block Elite Dumbbells is made by Power Block which is an innovator when it comes to exercise equipment, and they have been making dumbbells since 1991. They have 25 years of experience when it comes to producing and creating the best adjustable dumbbell set. The Power Block Elite Dumbbells are one of the best-selling and the highest-rated flexible dumbbell set of all time. It is also one of the last adjustable dumbbells set that is made in the United States of America, and the company Power Block uses the highest-quality materials. They have an economical and smart design; the Power Blocks are sturdy and durable, and it can withstand all types of regular gym use. It can also help you save up some space in your own home especially if you want to work out at home since everything that you need is already available in one set. The Bowflex SelectTech 1090 Adjustable Dumbbell is released by the company SelectTech, and it is made for those athletes and bodybuilders who need a higher weight range. Most dumbbell set offer 52.5 lbs, and SelectTech has created a set that offers more upper. This adjustable dumbbell set has all of the features and benefits of a regular dumbbell, but it has a broader range when it comes to weight as you can adjust it from 10 lbs. to 90 lbs. This dumbbell set is in line with SelectTech’s 552 adjustable dumbbells, they are identical in looks, and they have the same dial adjustment system that made the SelectTech 552 the best-selling dumbbells on the market. This adjustable dumbbell set can save you a lot of space since you do not need to use all 17 different pairs of dumbbells with different weight range because you have everything in one go. The Power Block Elite Dumbbells are one of the best and the most trusted equipment in the fitness world. Power Block is the company that came up with the concept of adjustable dumbbells. 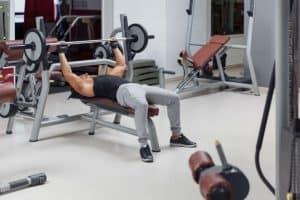 It was made in 1991 by two fitness equipment designers; they came up with this idea after analyzing the cost and the space restrictions of the traditional set of dumbbells. The traditional rack of dumbbells requires you to get a separate pair for each of the weight range; this could take up at least 15 feet of space in your home, gym or fitness club. With adjustable dumbbells, you can use the extra space for other exercise equipment. Over the past decades, Power Block has refined and innovated their design which is why they have the best adjustable dumbbells found on the market today. The Power Block Elite series is their most popular set for athletes and people who want to workout at home. They had divided it into three stages, the PowerBlock Elite 50, Elite 70 and Elite 90. It signifies the weight amount on each stage, and that will be 50 lbs., 70 lbs. and 90 lbs. The only difference between each stage is the weight. The Elite 50 has a range of 5 to 50 lbs., the Elite 70 has a range of 5 to 70 lbs. and the Elite 90 has a range of 5-90 lbs. They are the same when it comes to the features, and it is only the weight range that is different. The company made them into three different divisions so that when you want to purchase a more significant and more massive weight range, then you can purchase it that way instead of purchasing a set for each weight range. Another thing to take note of about this equipment is that it has an expansion kit, so when you purchase an Elite 50, and you need a heavier weight, then you can adjust it and expand it. The benefit of this equipment is that it has an expandable weight range. You need to add their expansion kit if you want a heavier adjustable dumbbell. Instead of purchasing an Elite 70, you can install an expansion kit to your Elite 50 you can add more weight to the adjustable dumbbell that you already have. The Power Block Elite Adjustable Dumbbells are also easy to adjust and change between weight ranges. The weight plates are placed in stacks with markers that are color-coded to show the weight amount of each plate or stack. To select the weight, you can use the U-shaped, dual-prong selector pin to slide of the weight markers, so changing the weight settings is easy. The pin is magnetic so that it does not come loose accidentally. You will also feel a click into the place once you were able to slide it into the equipment, it indicates that the connection is secure. This equipment also has an attractive design as you can handle it at the center, and there are four different independent bars that are surrounding the handle like a cage, which connects each end of the equipment. The Bowflex SelectTech 1090 Adjustable Dumbbell is the predecessor of the SelectTech 552. The weight range of the first one the series is of a maximum of 52.5 lbs. and they do not offer expandable kits because it has a fixed bracket design. 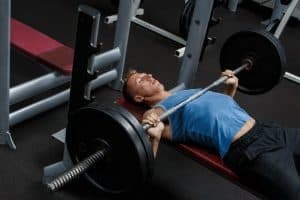 Weightlifters and stronger people can’t get much benefit from the 552 model because they need more weight and what it could offer. This is the reason why Bowflex released the new SelectTech 1090 model. It is the same adjustable dumbbell, with the same amazing features but it offers more weight, and it offers a range of 10 lbs to 90 lbs so even the strongest and most experienced weightlifters could still use the benefits of this innovative design. Because of this design, SelectTech has dominated the home dumbbells market, and both personal trainers and athletes call them a piece of essential fitness equipment for any gym and any home. The SelectTech 1090 was made with the stronger and most experienced athlete in mind, so it has a broad set of weight range to offer, it starts at 10 lbs, and it goes up to 90 lbs. The weight can be adjustable in 5 lbs at a time which then gives you 17 different weight ranges that you can choose from. It cannot be adjusted to 2.5 lbs increments, and that is the minor difference between the 1090 and the 552 series. The SelectTech 1090 has a dial-a-weight adjustment system, and it is the favorite feature of many. By twisting the dial, you can change all of the weight of the dumbbell. It has a dial system and a bracket system that is built into its handle, and it is placed in each. The dial is made so that you can change the weight depending on your range and the brackets found inside of the handle physically clutches the weight plates to the dumbbell’s bars. If you select the 50 lbs weight set, you can twist the dial at the end of the equipment to 50 lbs. The built-in brackets will grab the plates that it needs to reach 50 lbs, and it will lock them all onto the equipment handle. You can then pull the equipment out of the cradle, and you can start using it. This equipment is made with high-quality and sturdy metals to give a secure and safe lock on the plates when you use the system for the bracket. The plates for the weight are covered in a plastic liner which is thick enough that helps it take the roughing up. The plastic cover and lining were placed to give durability, and it is a way to allow the plates to move better and smoothly when they are beside to each other because dumbbells have to slide in the equipment cradle when you are changing its weight settings. Bowflex offers a warranty for 3 years on their equipment and it covers all of the parts, and it even includes the labor if you have to send the equipment back for any case. They also offer a money-back guarantee to all of their customers, and they call it the 6-week fitness results guarantee. If you are not satisfied with the equipment or the results in 6 weeks, they will give you a full refund, and they will also take the equipment back. This makes your purchase worry-free, and it also gives you the change to try the product out for a few weeks while still having the full refund option if you are not impressed with the result or the equipment. If you are looking to improve your biceps, it is best to use dumbbells. Dumbbells require you to have a greater stabilization. Since using dumbbells require stabilization, it activates more muscle fibers in your body. Dumbbells are functional training without needing a rendition. Using dumbbells forces your limbs to work consistently and unilaterally. If one side your limb is weaker than the other side, then there is no hiding. It is impossible to overcompensate with dumbbells as it makes them a piece of efficient equipment on imbalances. Dumbbells are significantly safer to use than barbells. It is also great when you are doing squats as you can lift them and drop them at any time. Increasing the range of motion can help you overload your muscles for strength, or it could help in muscle building purposes. There is not much range that you can accomplish with a press or a row of exercise, but with dumbbells, you can have a lot of variations. Dumbbells can add a dimension of overload to your movements by extending the overall range of motion. 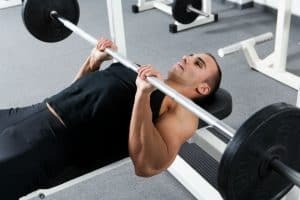 When you use a barbell while bench pressing, your shoulder, and your arms are in a fixed and limited position, it also moves through a set of specific motion. With dumbbells, however, you are allowed to alter the overall movement pattern a bit and let your shoulders move freely. You can also internally or externally rotate your shoulders or bring the equipment lower or higher up your body to target muscle groups. Freedom in the range of motion can minimize injuries, as well as eliminating imbalances and these are the advantages of using a dumbbell. When you have mastered using dumbbells as a part of your exercise routine, you focus more and even prevent injury. 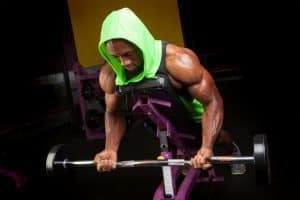 Mechanic and metabolic overloads can lead to muscle growth, and they can be achieved by using dumbbells. Mechanic overload stimulates the overall repair process of your muscle contractions, and this leads to increased muscle size. 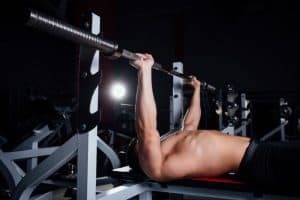 Metabolic overload happens when your muscle is worked up too much, and it leads to the adaption of the muscle cells being able to keep more glycogen which can then increase your muscle in size. Exercises that require you to use dumbbells can create intramuscular and intermuscular coordination that leads to higher levels of your muscle activation. Intermuscular coordination is the ability of different muscles in your body to work together so that they can stabilize and produce joint motion. Intramuscular coordination is the muscle motor units and the attached fibers in the muscle that are activated within a muscle in your body. Dumbbells can also benefit the elastic component of your muscle tissue and its contractile element. The contractile element is the actin-myosin protein found in your muscle that is responsible for sliding across each other to create a concentric action or control the lengthening. The elastic component is the connective tissue that is attached to the individual fiber in your muscle. Traditional exercises with dumbbells can increase the overall force production of the contractile element while using light dumbbells can enhance and strengthen the elastic component. Dumbbells can be used for a lot of different exercises whereas machines allow only one or two moves on a specific pattern or movement. You can create a variety of movement patterns to develop a movement-specific strength exercise. Dumbbells allow you to focus on a leg or an arm one at a time, which is a way to gain strength. One dumbbell can be used for different exercises to create overload one limb at a time. It is excellent for weight loss. Using dumbbells in aerobic workouts can help you burn calories because it raises your heart rate. Aerobic exercises decrease your risk of conditions and diseases such as stroke, lower back pain, high blood pressure, and diabetes. It not only helps you lose weight and burn calories, but it also helps you improve your endurance, heart health, and your muscle strength. It improves bone health. Weight-bearing exercises can help you increase your bone density because it decreases your risk for injuries or fracture. Dumbbells are the best tool to improve your overall bone health, and it is especially recommended for seniors because you can use it while sitting down or lying down and you can also choose the weight that you are going to lift. Dumbbells can also help you improve your overall structure as it requires you to straighten your back and to stand correctly. Dumbbells are the easiest to use, versatile and inexpensive weights that can let you do a lot of different workouts that could help you lose weight and improve your health. No matter what amount of weight you choose to use, the pace at which you go and the number of exercise repetitions that you do, this equipment can help you burn calories, improve your cardiovascular health, it can help you build muscles and increase your overall endurance. There are numerous dumbbells that you usually see in gyms because they have a pair for almost all of the weight range. However, this kind of style can occupy space in which you can use for other equipment instead. This is where adjustable dumbbells come in. Adjustable dumbbells can help you lift weights and use dumbbells in just one equipment, so you do not have to spend so much on exercise. It is cost-efficient and effective. Out of the two adjustable dumbbells that were reviewed, it is safe to say that the Power Block Elite Dumbbells is the best adjustable dumbbells in the market. It is easy and quick to adjust, and it can be adjusted into precise and small increments of 2.5 lbs. It also has an expansion kit that is easy to install, and it helps you use higher and more massive weight ranges. You can also have a natural and well-balanced lifting feel. It has a comfortable grip, and the wrist guards are padded. It is of the highest quality, and it is durable, they also offer a warranty of 10 years. Overall, the Power Block Elite Adjustable Dumbbells are a fantastic set of dumbbells. 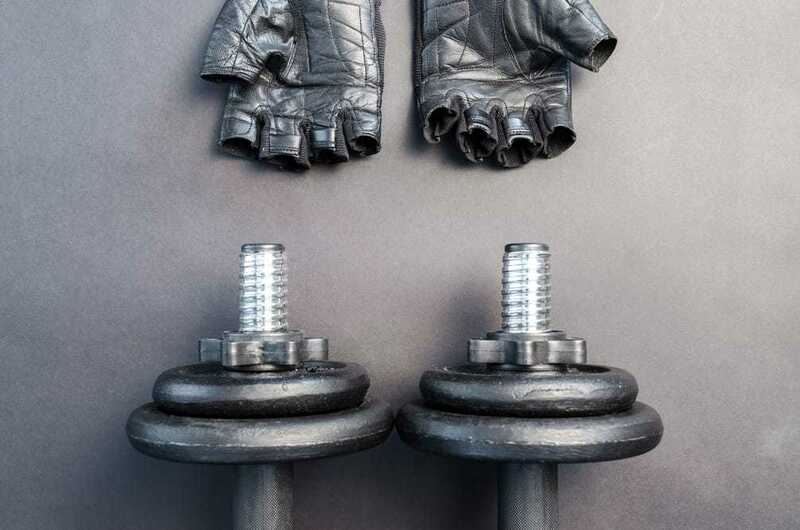 From its stackable weight expansions to its one-off block design, these adjustable dumbbells are not like other sets found on the market because they are one of the few adjustable dumbbells that are still made in the United States of America. The Elite series of Power Block is definitely of the best quality, and it is also very durable. It has been awarded as the best adjustable dumbbell by numerous blogs..